The Android marketplace continues to grow, with new Android apps added every day. Though it’s clearly a good thing that there are so many Android apps for small business, it can be challenging to find the best apps to help your business on a daily basis. Here are 15 Android apps that can help you streamline your business activities, save time, and generally make your life easier. The apps featured here have the added benefit of being either free, or extremely affordable. 1. Documents To Go: With the free version of Documents To Go, you can view Microsoft Word and Excel documents. The paid version gives you access to Google Docs, as well as Adobe and PowerPoint documents. You can also upload, download, edit, and synchronize your documents with your desktop computer. 2. Cloud Print: Need to print a document from your Android device? No problem. Just use the free Cloud Print app. 3. Droid Scan Pro: If you need to scan documents on the go, or turn photos of notes into PDF documents, you can do it with Droid Scan Pro. You can test out a free version of Droid Scan before deciding to upgrade to the paid edition. 4. Package Tracker Pro: For a very small price tag, the Package Tracker app allows you to track shipping packages across a variety of carriers, including FedEx, UPS, and DHL. You can also email tracking information and label, edit, or delete packages from your queue. 5. Astrid Task/Todo List: This free app makes it easy to create and manage your task list. It syncs with Google Tasks, Producteev.com, and Astrid.com. For a small charge, you can purchase Astrid Power Pack, which includes features such as adding tasks via voice and creating voice reminders. For an even smaller charge, consider Astrid Locale, which makes your task manager and to do list location aware. 6. Box: Use the free Box app to access documents from multiple devices and computers, share documents with other people, and collaborate on working documents. Box offers more functionality than the similar free Dropbox app, but Dropbox is simpler to use. 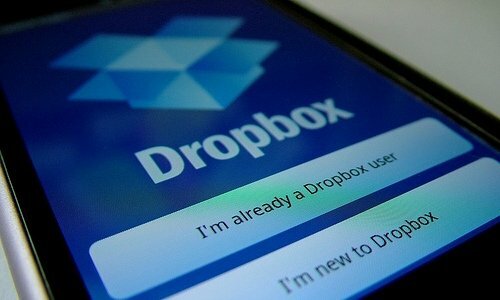 If you’re overwhelmed by Box, switch to Dropbox (or try Dropbox first). 7. PocketCloud Remote RDP/VNC: Connect your Android device to your Windows or Mac OS desktop computer, and remotely control and access the data on your desktop at anytime, from any place. A paid version is available, but the free version may be sufficient, depending on your needs. 8. Time Recording Timesheet App: If you need to track your time while you’re working remotely, the free Time Recording Timesheet app allows you to do exactly that. You can also assign tasks and export data into .csv, .xls, or .html files. For a nominal charge, the pro version adds features like Google Calendar sync and Dropbox integration. 9. CamCard: Do you attend events, trade shows, seminars, or meetings and collect a lot of business cards? It takes time to manually add all of those people to your contacts list in your phone and email. With CamCard, you can scan business cards and save them directly to your contacts list, so you don’t have to type a thing. The free version allows you to save 10 business cards the first week, and 2 cards each week thereafter. If you have more cards to scan, upgrade to the paid edition. 10. GoToMeeting: Attending remote meetings is easy with the free GoToMeeting app. WebEx and Adobe Connect also offer free remote meeting Android apps. The Skype app is another great option for virtual conference calls and meetings. 11. Mileage Tracker:The very affordable Mileage Tracker app allows you to keep track of your work-related mileage for expense reporting and tax purposes. You can separate mileage by client, vehicle, or account, and data can be synced with the Dropbox and Google Docs apps. 12. Expense Manager: For business people who spend a lot of time on the road incurring business-related expenses, the free Expense Manager app makes it easy to stay organized. You can take pictures of receipts, track expenses by date or category, and manage multiple accounts. 13. 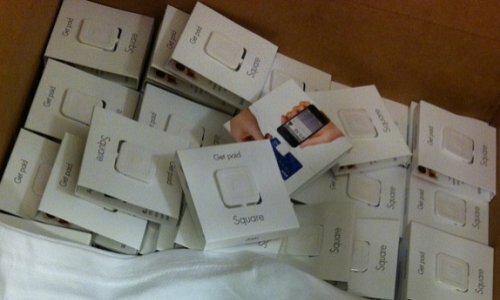 Square: If you close sales on the road and need to accept credit card payments, then Square is the free Android app for you. You get a free credit card scanner that attaches to your Android device which enables you to scan cards, process payments, and email receipts instantly. 14. Invoice2go: For anyone who needs to print invoices remotely, the Invoice2go app is a must try. The free version allows you to create and manage 3 invoices at a time, but for a relatively low cost, the full version allows you to and create and manage as many invoices as you want. There are 20 invoice designs to choose from, and you can customize your invoice, add your logo, change the position of fields, and more. 15. ezPDF Reader: Do you need to fill out forms or capture signatures when you’re on the go? Perhaps you want to get contracts signed or quotations approved. With ezPDF Reader, you can read PDF documents from your Android device, and you can capture annotations on those documents. To upload and download files from Google Docs to use with ezPDF Reader, get the free ezPDF Reader Cloud Plugin. 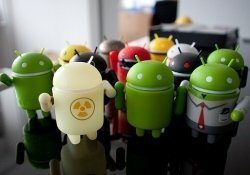 Have we missed any great Android apps for small business? Let us know your favorite Android apps in the comments below.